Kristen Lyons is a social researcher and advocate working on issues related to development, the environment and energy futures. 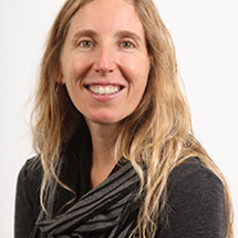 In international settings, Kristen works in East Africa and the Pacific, and has been engaged in work on organic agriculture and international trade, carbon markets, violence and livelihood impacts, and logging and community agro-forestry. In Australia where Kristen lives, she works on a broad range of environmental and social justice topics, including organic and local food movements, nanotechnology, fossil fuels and energy debates, as well as the privatisation of science and Universities. Across each of these research areas, Kristen is deeply engaged in investigating justice and rights dimensions and issues, including Indigenous rights. Kristen regularly contributes to public debate and policy on these topics. Kristen is also a Senior Research Fellow with the Oakland Institute.